Screen tech in the ereader market may have stalled after last year's release of the Carta E-ink screen on the Kindle Voyage, but that doesn't mean E-ink is standing still. 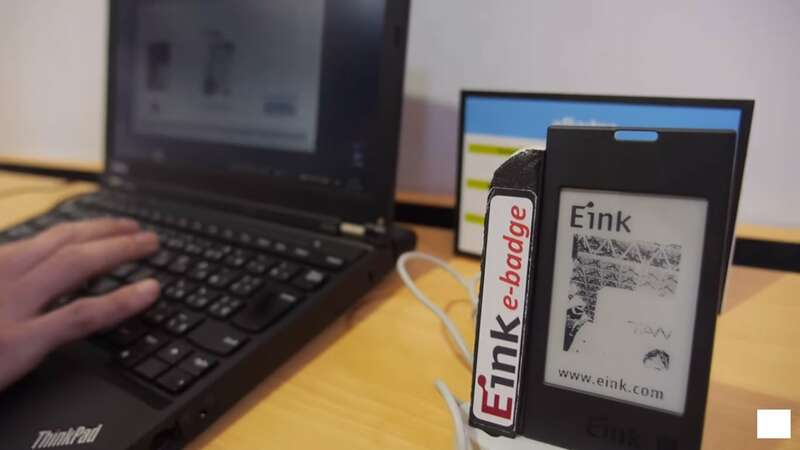 Charbax has posted a video of a recent booth tour where E-ink shows off its latest concepts. Watch carefully and you'll see flexible smartwatch displays, a color 13.3" E-ink screen, and an eBadge design that is powered by NFC. There's even a concept design for a dual-screen smartphone like the Yotaphone. For the most part, what we see in the video are less products than they are potential products. I wouldn't bet on seeing these devices hit the shelf any time soon, but this video does still give us a good idea on what E-ink could do if someone had the money. I like Charbax; he has an eye for the potentials of different technologies and regularly promotes the idea of Chromebooks and the uses of e-ink (e-ink is an underused technology and can do so much more). The single-color panels are very interesting. They have nice, bold color while maintaining crisp black and white, unlike Triton. It’s a pity about the 10s refresh time though. If E-ink could get the refresh time down, the yellow panel would be a nice touch for highlighting a digital textbook. How is this tech different from Triton anyway? Does it use a different method to display color; or is it the same tech, but only having to show one color keeps the monochrome crisp? Triton uses a color filter on top of a black and white E-ink screen. The 3-color Spectra screens have black, white, and red/yellow colors in the screen itself. It’s based in part on the Sipix screen tech that E-ink bought in 2012. The Spectra screens are bright, but the downside of having three colors is that you can’t do gray, and the refresh rate is slow.